People have been arguing about Invasion of the Body Snatchers’ message for 60 years now. Some believe it’s a coded warning about the spread of communism. Others—like novelist Jack Finney (upon whose story the movie is based)—see it as a thoroughly non-political thriller. Regardless, fans of all stripes agree that Invasion of the Body Snatchers is an enduring horror classic. Released on this day in 1956, it still sends shivers up the spine. 1. IT’S BASED ON A MAGAZINE SERIAL. 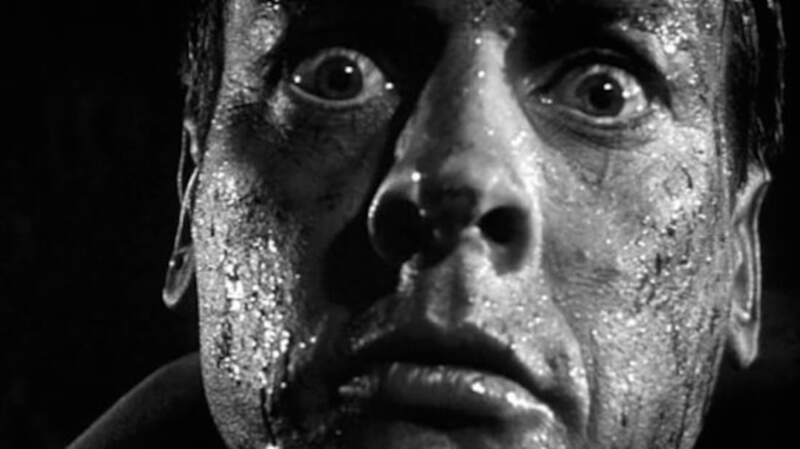 In November and December of 1954, Collier’s magazine ran a three-part series that would come to be called “the year’s most original story of suspense.” Written by Jack Finney, The Body Snatchers wowed producer Walter Wanger, who began negotiating the story’s movie rights before he’d even read part two. 3. DIRECTOR DON SIEGEL PRANKED HIS LEAD ACTRESS WITH ONE OF THE FAKE PODS. 4. THE LEADING MAN SUGGESTED A TITLE CHANGE. In the film, alien pods replace slumbering people with emotionless duplicates. Hence, when Kevin McCarthy landed the lead role of Dr. Miles Bennell (who discovers what’s really going on), he suggested that Invasion of the Body Snatchers should be renamed Sleep No More. You might be wondering why the final title differs from the one that Finney’s original series went by. In 1884, Robert Louis Stevenson had written a short story called The Body Snatcher, which was turned into an RKO film in 1945. To avoid confusion with that earlier movie, Siegel’s flick was rebranded Invasion of the Body Snatchers. 5. ORIGINALLY, THE MOVIE WAS SUPPOSED TO BE A LOT FUNNIER. 6. FULL-BODY MOLDS OF THE LEAD ACTORS WERE BUILT. 7. THE FILMMAKERS FEARED THAT KEVIN MCCARTHY MIGHT NOT SURVIVE THE ENDING. The film’s action required leading man Kevin McCarthy to run for days on end. In numerous scenes, his character sprints for dear life over every possible terrain. “I got Charlie horses,” admitted McCarthy. Just before the film draws to a close, Dr. Bennell runs through traffic in a panicked frenzy, screaming “They’re here already! You’re next! You’re next!” Since the exhausted actor hadn’t been sleeping well, Siegel told his stunt drivers to remain extra alert in case McCarthy tripped without warning. “I was terrified that his timing would be off and he might fall down under the wheel of the cars and trucks,” Siegel admitted. 8. THE PROLOGUE AND EPILOGUE WERE LAST-MINUTE ADDITIONS. Allied Artists didn’t just cut a few jokes here and there; the studio also insisted on a completely different ending. Originally, the movie was going to close with a shot of Dr. Bennell watching hopelessly as truckloads of pods drive out into the distance. Wanting to end the film on a more hopeful note, Allied Artists came up with a slightly happier conclusion. Over his strong objections, Siegel was told to film a new intro and a new final scene (“I reluctantly consented,” he said.) The revamped opening puts Bennell in a police station, where he tells the story as an extended flashback. After the famous “You’re next!” sequence, his tale ends and, after a while, the authorities begin to believe him. 9. IT COULD’VE BEEN NARRATED BY ORSON WELLES. OR RAY BRADBURY. Walter Wanger desperately wanted two Orson Welles scenes to bookend the movie. As a prologue, the Citizen Kane director would offer an unsettling soliloquy. Then, at the end of the movie, he’d return with this sobering advice: “In this day and age, anything can happen. And if you’re asleep when it does, you’re next.” Unfortunately, scheduling conflicts kept Welles out of the film. Wanger later toyed with the idea of giving Welles' part to legendary sci-fi author Ray Bradbury, but ultimately opted to cut out the narrator role altogether. 10. MCCARTHY MADE A CAMEO IN THE 1978 REMAKE.